After an exhaustive two hour climb of a mountain, traversing through the thick canopy of the Poroto Mountains from the Rungwe District side of the crater, suddenly, in the midst of the tropical equatorial type vegetation we got a glimpse of what seemed to be a lake. Sure enough as our guide Saidi would remark, we were approaching Lake Ngozi, also referred to as Lake Ngosi, a crater lake in the southern part of the Eastern African Rift System, We had another 30 minutes of trekking before we could reach the observation point. Before us unfolded one of the most spectacular sights that Almighty God can bless anyone to observe, paradise on earth, crater Lake Ngozi in all its majesty. We will return to Lake Ngozi later on in the sequel. Our memorable trip to Lake Ngozi started early in the morning of Monday 12 November 2018, from our Matema Beach residence on the shore of another spectacular seen, a place where the Livingstone Mountain ranges form the eastern flank of the magnificent Lake Nyasa. The mountains seem to rise straight from the lake. We leave the reader to speculate or rather imagine the serenity and indeed the beauty of creation. Much of the scene and scenery of this part of the rift valley is described in a narration: A Letter from Matema Beach. At the wheel of a four-wheel drive Toyota land cruiser 2005 model was Emmanuel, with his Dad and Mum as passengers. The 34 km road from Matema Beach to Kikusya junction is being upgraded to bitumen standard by China New Era International Engineering Corporation , with the Tanzania National Roads Authority (TANROADS) being the employer and TANROADS Engineering Consulting Unit (TECU), the engineer. The project contract was signed on 27 April 2015, for a duration of 24 months. The contract was later extended for 18 months. The total project cost is Tanzania shillings 56.911 billion. Except for the ongoing construction of new bridges at Lufilyo and Mbaka rivers, the work could be said to be 95 percent complete. By January or February 2019 it wii be an all tarmac road drive from Mbeya to Matema Beach, reducing the travel time from 4 hours to 2 hours and thirty minutes. At Kikusya, which is 8 km from Kyela town centre, we take a right turn towards the junction of the Uyole-Kasumulo Road. Kasumulo is at the border between Tanzania and Malawi. We take another right at the junction and head for a minor settlement of Busale. Busale is somewhat elevated. The tale is that at one time in the past the idea of moving the headquarters of Kyela District from the present location to Busale was mooted. The logic behind the proposal was the avoidance of constant flooding. For, much of the district lays in the flood-plain. The idea was overwhelmingly opposed by the populace, advantages of the move notwithstanding. The opposition to the idea was based on two counts; firstly, floods are a regular feature of the Kyela plains from time immemorial. As such adaptation is inbuilt in the tradition, psyche and practices of the population. Secondly, although chieftaincy was abolished after independence, traditions die hard. There is no way the headquarter of the district could be moved from the chieftaincy of Mwakalinga to elsewhere without repercussions, political and otherwise. The journey to Tukuyu takes us through the junction to the famous but now defunct Kiwira Coal Mines and the Kabulo coalfield, the Kayuki Girls Secondary School, converted from a camp that used to host Chinese experts who built the Kiwira coal mine, past Ilima settlement, the not-so-well-kept former Jivanjee Tea Estates, or Chivanje Tea Estates as they used to be known by the locals and now owned by METli Enterprises. We compare the condition of the once spectacularly trimmed tea fields with the present day Brooke Bond Tea estates in Njombe or the Mukwano tea estates in Tooro, Uganda. From the tea estates we head north through Ushirika settlement a node which takes one to the once famous Mpuguso Middle School, Kisa Girl’s Middle School and what used to be the Kisa Leprosarium. Ushirika is in the vicinity of Tukuyu. A climb to Tukuyu takes 10 to 15 minutes, passing through the again not-so-well-kept Rungwe Tea Estates at Kyimbila. It is at Kyimbila that a missionary girl’s school started and was later moved to Loleza. One of the founder students of Kyimbila Girl’s and Loleza is Mama Anna Abdalla. Not many people know or realise that Tukuyu, situated on what looks like a mountain, is actually a massive volcano that scientists say erupted 1.3 to 2.3 million years ago. As such it is considered extinct. Tremors are a common occurrence though. From Tukuyu, or Neu Langenburg, as the Germans called their provincial headquarters and situated at a vantage point for telegraphic communication from Dar-es-Salaam, through Mahenge, Makete, Tukuyu to Kasanga, Lake Tanganyika. From Tukuyu one has the best view of Mount Rungwe, Mount Kyejo, the Livingstone Mountain Ranges, Lake Nyasa, and the Bundali Mountains. Even fewer people remember that there used to be a botanical garden in the valley just below the residence of the District Commissioner. After independence, sadly, “wise men” decided that the botanical garden, established by the colonial administration, was of “no value”. There used to be a nine-hole golf course. The greenery of the golf course made Tukuyu a beautiful town to sight-see. Just like in Mbeya where a stadium was built in the place where one of the most beautiful and complicated golf course in Southern Africa used to be, the area is now a stadium. The logic after independence was that all relics of the colonial administration had to go, including botanical gardens and golf courses! As a game, golf was held in particular contempt by “post-independence politicians” as a manifestation of bourgeois tendencies, describing the golfer as a pseudo-capitalist who hires a working class porter to follow him or her around carrying a heavy load full of golf irons or clubs. Needless to say, Tukuyu is as beautiful as town can be and the entire district is like one massive natural garden with the main “flower” being the banana plant. no wonder one of our visitors from the United States admitted he had never seen so many banana trees in her life and made reference, not in derogatory terms, but rather as a praise, to Rungwe being a “banana republic”. We are still making our way to Mbeye 1, to meet our guide. From Tukuyu we pass through Bagamoyo. Bagamoyo used to be the heart of township, with buildings on both sides of the main road to Mbeya. Bagamoyo is soon about to disappear from the map. The revised road legislation is such that all the buildings in old Bagamoyo have a huge red X-mark sprayed on the walls. A friend of ours has asked us as to the origin of the name Bagamoyo. We have been unable to respond. Hopefully one of our readers will comment and thus add knowledge to the history of Rungwe. Past Bagamoyo it is all downhill to Kiwira, or Mwankenja as it was known in the old days, named after Chief Mwankenja. From Bagamoyo we pass through Katumba, a junction settlement for a journey to Mwakaleli to the east and Ndembela and Kapugi to the west. Down from Katumba one passes Kibisi (always cold and wet) and Kyimo, the junction to the famous “God’s Bridge” and “Kijungu”, the former being a natural ‘bridge’ across the Kiwira River, made from remains of volcanic lava, and the latter being an intriguing pot-like formation where the entire river disappears into, only to emerge again as a wide river some meters downstream. On crossing the River the road leads to the Kiwira Prisons Training College and through the mountains and rolling hills to Ileje. Kyimo is famously and proudly referred to as KKK, a short form for “Kyimo Kijiji Kitulivu”, Kyimo, the peaceful village. From KKK it is a downhill cruise to Kiwira, a famous market settlement situated at the junction of the old road to Mbeya which passes through Igogwe Roman Catholic Hospital up the mountains to Isangati in Mbeya, and the “new” Uyole-Kasumulo tarmac road. The choice of Kiwira as the name for this major settlement is somewhat a misnomer. For, every village and settlement along the Kiwira river from its source in the Rungwe Mountain to its entry into Lake Nyasa in Kyela District, is known as Kiwira. Mwankenja would have been a fitting tribute to the traditional leader of the area. We crave for the indulgence of the reader as we pass through the “airport”, an infamous spot where accidents are the order of the day, with lorries from the hilly road plunging into the river just like a plane landing on a runway. From the “airport” it is an uphill cruise through Ntokela, Ndaga and Mbeye 2 settlements, areas famous for potato, peas and maize round the year farming. 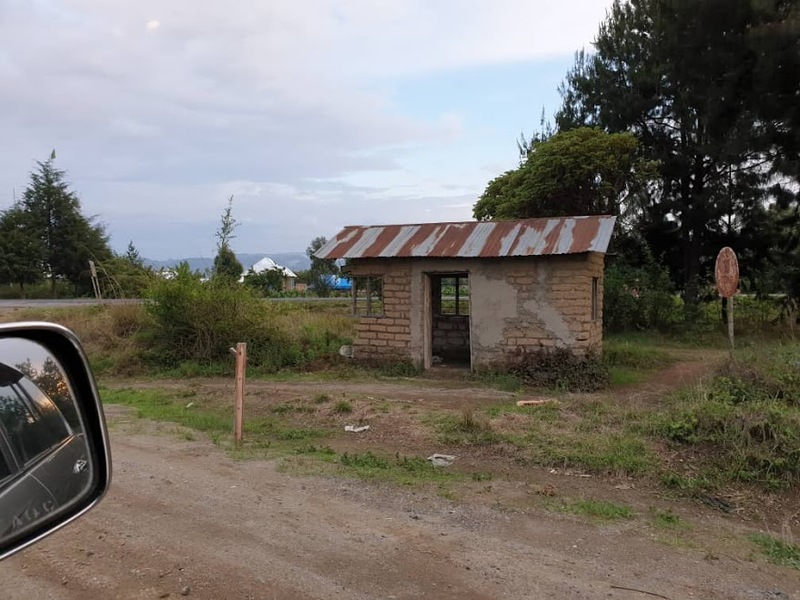 Beyond Ndaga is a plain interspersed with undulating hills, past the Mbeye 1 Primary School finally we reach the junction at which we have to turn right through a gravel road towards Lake Ngosi. This is the place where we meet our faithful guide Saidi Jafari Mwelezi who hails from the nearby Mbeye 1 village settlement. Much has been written about the crater Lake Ngozi. For apart from its special characteristics, which we shall present to the reader later on, it is a crater lake, a feature of volcanic formation, common in many parts of Rungwe, the Eastern African Rift System and elsewhere in the world. It is the hike or mountain trek to the edge of the lake that we found as eventful as it was fascinating. From the tarmac road junction we take a murram road through fields and planted eucalyptus and pine trees. The road terminates at Igogwe at the junction to Kiwira in Rungwe District and to Isangati in Mbeya District. These are referred to as District Council roads maintained by the newly established Tanzania Rural Roads Agency, known by its acronym TARURA. We do not go that far. A fifteen minutes drive, with Emmanuel still at the driving wheel takes us to a junction that leads to the starting point for the climb to Lake Ngozi. From the junction one immediately enters a thick forest and the whole vehicle gets swarmed by flies. Be careful. These are not normal flies. They are horse flies. They resemble tsetse flies which are responsible for inflicting sleeping sickness in human beings and livestock. We ask Saidi as to why he did not warn us about the flies. His response is amusing. He does warn European tourists, not Africans. For, according to him “horse flies like white skin. They have no business to do with black skin. That is why I have been going up the mountain through the fly infested forest so many times that I cannot keep count of. Europeans come armed with lotion which expels flies.” A ten minutes drives takes us to a base camp where we leave the vehicle and begin the mountain climb. It is 1.10 pm already. Saidi leads the way through a narrow path with about a meter of bush cleared on either side. He is followed by Akiiki who obviously needs help on account of painful knees. We are comforted by the guide who says that the climb should take a short while. Dad follows Akiiki and Emmanuel is at the rear to make sure that Dad does not get into trouble. In the space between we observe the expanse of the Uporoto Mountain Forest. It is extensive and equatorial type. The trees form a closed canopy such that the sun cannot be seen and afternoon looks like late evening. As we climb up soon realise that it will not be an easy task at all. Every after a few meters one has to hold onto a stone or a thick root of a large tree in order to anchor, hold onto and make progress. The guide and Emmanuel are ever ready to offer a helping hand to Akiiki and Dad, through pulling and pushing as the need may be. After 20 minutes we have the first casualty. Akiiki declares that for her that spot is enough of an excursion. She will not go farther than that. We decide to have a mini “conference” to decide our next step. Everybody is looking at Dad in a manner meant to convince him to give up. We discuss the wisdom and safety of going on with the climb and leaving Akiiki alone there. Saidi assures us that it would be safe for her to remain. For, the forest is not a habitat to wild animals, with the exception of the black and white colobus monkey, the dik dik, the three-horned chameleon which is endemic to the forest and birds. And we are assured by Saidi again that except for two difficult-to-climb points, we should be at the crater lake in no time at all. We cut two wide wild banana leaves, one for Akiiki to sit on and another to act as an umbrella, should it start to rain, and to chase horse flies. As we continue the climb we marvel at God’s gift to humanity, to Rungwe, Mbeya and Tanzania. We imagine the Garden of Eden to have been some sort of paradise-on-earth. If that was the case, would not that forest where we are be the place, or its equivalent? For an environmentalist, a forester, a naturalist, a botanist, a zoologist, a tourist, a student and an ordinary soul, the hike is indeed through “paradise-on-earth”. Large trees of the type of Mporoto (Vernonia spp) , Msiti, Mtigitwa and Mturunga (Hagenia abyssinica), Mheti (Ocotea usambarensis) and bamboo plants (Sinarundinaria alpina) thick as a tree, medium width and small papyrus-like, populate the forest. Wild banana plants (Ensete ventricosum) abound under the canopy formed by the forest trees. It looks like what one can call a mini-wild banana-republic of sorts. We have seen such wild banana trees along the Uporoto-Ndaga section of the Uyole-Tukuyu highway. We were under the impression that the plants were ornamental and did not produce fruits. They do. We were lucky to observe the wild banana fruit which is a favourite fruit for monkeys and other animals of the herbivorous variety. The scattered seeds are the source of plant propagation. The are also used by the local elders in game known as “bao”. It is forbidden by law to cut trees in the reserved forest. As such some trees fall on to the ground with age. Those that fall onto the across the path provide kind of natural bridges, for hikers to climb and make it to the other side of the path, or to crawl underneath in order to make progress. Tree roots provide anchor for the feet and are also used as ropes for onward movement on the way up or down. Roots also provide steps in the steep parts of the path. The path is strewn with tree leaves making it slippery and dangerous especially while climbing down. For, although it did not rain on that day, it is ever wet, misty and green. It is said that the speed of a convoy of vehicles on a road is determined by the speed of the slowest vehicle. The speed of the three-man “convoy” in our case was determined by Dad. We had to climb slowly and take a rest as often as possible in order to accommodate him, much as we admired his stamina. The spirit, courage and determination of the “convoy” is a function of the psychology of the guide. Saidi kept us going through storytelling. He would move from the way he carried a motor boat to the creter for use by tourists, to the manner in which he would carry elderly foreign tourists up the mountain to the edge of the crater lake. As to why many of the farms we had passed through on our way to the forest were fertile, his answer was bemusing. “The farms you saw on the way, belong to people who are well-off. They use the services medicine men to move rich soils from farms of poor peasants, at night”. Mention has been made of the psychology of a tour guide. Saidi is excellent in this respect. Every after 15 minutes he would proclaim “we are almost there”. It was one and a half after we had left Akiiki that we could peer through the forest canopy and observe what looked like a water body in a distance. “You see, I told you it is not far. We are there”. We had to walk for 30 minutes before we could reach the vantage point or the observation point, with Lake Ngosi, in all its splendour and majesty, unfolding below and before us. A few points about the observation point. Some work needs to be done to secure the place. Without much damage to the vegetation, the place could be cleared and a wooden fence erected for to facilitate observation of the Lake. The surface of the Lake is half-an-hour walk down the observation point, binoculars could be installed by the authorities concerned for ease of observation. In addition trash bins should be placed at the observation point and at intervals along the route. We found empty plastic water bottles, fruit packets and soft plastic bags laying in the area. We spent 30 minutes at the observation point before departure at 3.40 pm. It is said that it is easier to climb up a mountain than to walk down. This was our experience on our way down. The only satisfaction was that we knew exactly where we were going. All the same it was an extremely difficult exercise. The prospect of a fall occupied our minds. We had to walk slowly and carefully. Emmanuel went ahead of us, followed by Saidi, whose task was to make sure Dad did not miss a step. When he invariably did, Saidi was there to support him. At times the support was mutual and Dad would provide to Saidi just that bit of an anchor to prevent him from toppling over. A trip of the nature of our trek cannot be uneventful. The forest is rich in biodiversity. As Murphy’s Law states “If something can go wrong, it will go wrong”. Much as Emmanuel and Saidi tried to prevent Dad from falling down, he slid on the wet leaves on the path fell with the back on the ground! As if that was not bad enough he fell onto a column of “fire” ants. He was quickly picked up but not before the ants had had a field day. Those on the jacket were quickly spotted by Emmanuel and Saidi. Others had already spread into the vest and onto the skin. The only solution was for Dad to take off the jacket, the shirt and his vest for Emmanuel and Saidi to pick the tiny creatures one by one. Ants are insects of a kind. For, even after meticulous intervention by Emmanuel and Saidi an ant or two could be spotted on Dad’s skin and vest. In addition, ants crawl on the feet and legs unnoticed until they reach well beyond the knees and elsewhere before they are noticed. For that struggle, Dad was left to summon his own defences! We arrived at the base station at 6 pm in the evening, tired, hungry, exhausted but satisfied that we had made it, despite the ants and tsetse flies. Akiiki had already returned to base, much to our relief and satisfaction. Like most cater lakes, myths and legends surround their origins and existence. The name Ngozi originates from the Safwa word “Ligosi” which means “large”. As for Lake Ngozi, the story of its genesis has been bequeathed from one generation to another. It is said of Lake Ngozi that it originated as a small pool which moved from Mount Rungwe, the third highest mountain in Tanzania after Kilimanjaro and Meru, down to a crater bounded by the Izungunila Peak which is part of the Uporoto Mountains. A crater lake was formed out of the pool and eventually the water migrated to Ngozi, to form crater Lake Ngozi, leaving a dry crater at Izungunila. Crater lakes are usually deep. Under currents are a normal feature of their waters. As such swimming should be left to the accomplished swimmers. Stories abound of many a soul drowning in crater lakes. Saidi recounts an incident which happened three years ago. A school team visited the cater on a normal excursion. The majority of them, including the teachers went up to the crater through the route we had taken. Three of them took a difficult route that is not often used. At the end of the trip, after inspection the three went missing. A search team was dispatched to the Lake. Even after an extensive and intensive search by a team of divers,they went on missing the second and third day. On the fourth day it was decided that traditional chiefs be summoned to provide spiritual assistance to the team. The chiefs led by Chief Mwanshinga included Chief Amon Mlotwa Mwalingo, Chief Joseph Mwambelwa, Chief Samson Matingo and Chief Mlotwa Mwalupindi. The chiefs performed their rituals at the crater. Upon completion of the secret rituals, they pointed the area where the bodies of the children could be found. And, Lord behold, the team of responders located the bodies in that area as advised by Chief Mwanshinga. Legends and myths aside, Ngozi the second largest crater lake in Africa that was formed between 10,000 to 12,000 years ago as a result of the collapse of the central part of the explosive Ngozi volcano after it had erupted forming the Ngozi crater or caldera. The Ngozi caldera was eventually filled with water mainly from precipitation and/or groundwater recharge to form what we now call the Ngozi Crater Lake. Being a relatively a young volcano, the flanks of Ngozi are still highly uplifted, with minimal evidence of erosion. As a result there are no significant river systems flowing into or out of the lake. So the main sources of water in Lake Ngozi is from precipitation and/or groundwater recharge which constantly compensates the evapotranspiration and loss to the surroundings to the rate of infill until an equilibrium is reached. According to the various studies conducted by the Geological Survey of Tanzania and other researchers, the Ngosi Caldera is located at the following geographical coordinates: 9.0044 S and 33.5476 E. The lake elevation is 2100 meters above sea level (masl). The highest point in on of the crater is 2622 masl. The rim of the steep ridge is 100-300 above the surface of the lake. Its depth is anywhere between from 5 m to 300 m below the lake surface. The Ngozi Crater was most probably formed by an explosive volcano 10,000 to 12,000 years ago. The caldera occupies 4.6 square kilometers (sq. km). The maximum width of the lake is 1.5 km and the maximum length is 2.75 km. The lake occupies a surface area of 3.1 sq. km at the southern end of the crater. The northern section of the crater is a forest plateau that rises 100-150 m above the lake surface. It is the second largest crater lake in Africa, after Lake Shala in Ethiopia. According to Siebert and others Ngozi is classified as Volcano Number 222164 in the Smithsonian Institute Global Volcanism Program. A renowned Tanzanian geologists, Professor Evelyne Mbede from the University of Dar es Salaam and Athanas Macheyeki from the Geological Survey of Tanzania, among others, and their co-researchers, group together Ngosi, Rungwe and Kyejo to form what is referred to as the Rungwe Volcanic Province (RVP). The Province is at the intersection of the Eastern and Western branches of the East African Rift System (EARS). Rungwe is estimated to have erupted about 4000 years ago and as recent (according to geologists) as 1200 years ago. Kyejo has erupted lately in lava form, in the 19th century. The Ngozi Crater was most probably formed due to an eruptive explosion 10,000-12,000 years ago. Volcanologists consider volcanoes which have erupted within the past 10,000 years to be active, implying that Ngozi, Rungwe and Kyejo are active volcanoes. As such, Prof. Evelyne Mbede and other researchers, in a paper titled: “The Rungwe Volcanic Province, Tanzania-A volcanological review”, published in the Elsevier Journal of Africa Earth Sciences recommend that extensive and systematic multidisciplinary research is required in order to further assess, quantify and mitigate volcanic hazards and risks in the Rungwe Volcanic Province. The Ngozi Volcanic Crater is located in the 9332 hectares Poroto Ridge Forest Reserve. The Reserve was gazetted in 1937. It covers an area of 111.65 square kilometers. Adjacent to the Poroto Ridge Forest Reserve is the Rungwe Nature Reserve and the Sawago Forest Reserve. The Rungwe Mountain, the Poroto Ridge, the Kitulo Plateau and the Livingstone Mountain Ranges form the southern Tanzania part of the Eastern Arc Mountain System that stretches from Kenya to South Africa. The Rungwe Nature Reserve, the Poroto Ridge Forest Reserve and the Sawago Forest Reserve are managed by the Tanzania Forest Services Agency (TFS). Arrangements are underway to upgrade the status of the Poroto Ridge Forest Reserve and the Sawago Forest Reserve to nature reserve status and annex the two to the Rungwe Nature Reserve. The combined Nature Reserve is rich in biodiversity. As recent as 2005 a new primate genus Rungwecebus Kipunji has been identified in the Rungwe Nature Reserve. It is critically endangered. David Blackburn, a researcher from the Natural History Museum and Biodiversity Institute of the University of Kansas, has described a new species of squeaker frog endemic to Lake Ngozi. It is wide bodied, with relatively long feet and a small tympanum (eardrum equivalent). It is part of the genus Arthroleptis. Other animals found in the Poroto Ridge Forest Reserve include the dik dik, wild pig, rabbit, kapenga, honey badger and wild cat. We were not lucky enough to encounter any of them. As we made our way back to the junction between the murrum road and the Tukuyu-Mbeya trunk road our discussions centred around community participation in the preservation of the Lake Ngozi-Poroto Ridge ecosystem. The hut where tourists are supposed to register and get information about the hike to Lake Ngozi is crumbling. As such it is unmanned. There is no billboard or any notice to welcome visitors to the crater. Some youths hang around the junction to try their luck should their services as guides be required by visitors. For an area unique for eco-tourism as the Lake Ngozi-Poroto Ridge Forest Reserve is, much remains to be done. For any improvement to be made on the situation, effective community participation is of the essence. We were made to understand that revenues that accrue from visitors’ fees, research permits, photography and conservation grants, do not reach the villages bordering the ecosystem to be preserved. In theory, a portion of the funds should flow back to the villages. The guidelines for the distribution of revenues are contained in the Joint Forestry Management Strategy issued by the Forestry and Beekeeping Division of the Ministry of Natural Resources and Tourism. The guidelines stipulate that village governments are entitled to: 32% of revenues arising out of fines charged on those who commit acts contrary to laws and regulations; 36% of fees charged on research permits, camping, photography and communication towers; 26% of entry fees for eco-tourism; 49% of revenues from seized illegal forest products; and 46% of income from climate change carbon sequestration schemes. The guidelines show that of the entire revenue that is due to the village government, 40% can be used for village development and 60% should go to a village natural resource fund under the oversight of the Village Natural Resources Committee. Yet as alluded to above, revenues hardly trickle down to Mbeye 1 Village. The incorporation of the Poroto Ridge Forest Reserve into the Rungwe Nature Reserve could improve the situation. This is very creative,we hope apart from the story we enyoy from the article,this article also is very useful for domestic tourism. Refreshing. Inspiring. Informative and educational. Travel writing in Tanzania, by Tanzanians, for the world. Full of insights and perspectives that might be absent from a foreign travel writer who tend to write more in the genre. Useful in promoting tourism. A Swahili translation would be useful for the domestic market. Bravo and I hope many more articles are still to come. This is the Meaning of being Prof..you did a wonderful work and memorable one ..thanks for the patriotic spirit you have. God bless you and give you many years to on earth we still need your service..thanks in advance. Mzee, wow you took that walk to the crater? Ngozi crater? Wonderful!!! I have being there before. It's not an easy feat for even young people. Well-done Sir. Prof; congratulations for defying foreseeable challenges and doing the excursion. Your coverage of the trip is really fascinating! revelation of some historical issues not known to many of us eg existence of a golf course and a botanical garden at Tukuyu during colonial times should remind all of us some slips we have made in post colonial planning. I wish Rungwe district authorities in collaboration with lake nyasa basin office? be compelled by this history to revive a botanic garden on a hill where LNB office building is located. Hill area surrounding the office has been left fallow for some years now. Your trip coverage is also highly inspiring to others including myself to visit the crator lake and the associated montane rainforest; The dossier is therefore resourceful for promotion of both local and foreign tourism. Well done! This is very educational. You have motivated me Prof., and have changed my mindset about tukuyu. Prof ,that was a splendid and educative recount on your touristic trek to the famous Lake Ngosi. You have given me enough energy to try the trek before Xmas 2018.